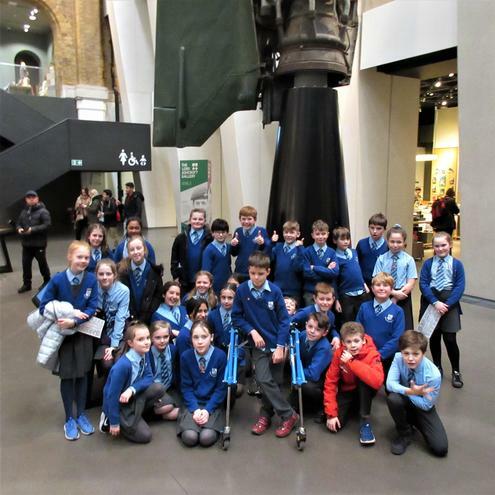 Excited classes of Y6 children took the train up to London to visit the Imperial War Museum as part of their study of the First World War. After being welcomed by a guide they explored the First World War expedition which guides you through the conflict. They were then challenged, in a workshop, to make a documentary on a couple of items in the collection to tell a small story based on a couple of the artefacts. We finished with an exploration of the Victoria Cross gallery with most of the children humbled by the countless stories of self-sacrifice. The day concluded with another exciting journey on tube and train.